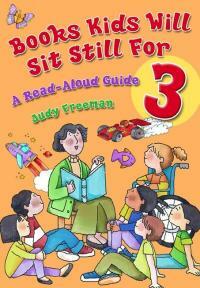 Books Kids Will Sit Still For 3: A Read-Aloud Guide by Judy Freeman (Libraries Unlimited, 2006). From the promo copy: "The largest and most comprehensive book of its kind ever written, it's an indispensable treasure trove of 1,700 child-tested favorite read-aloud titles, published since 1995. This is the definitive source for the best recent picture books, fiction, poetry, folklore, biography, and nonfiction books to share with children. The extensively annotated bibliography incorporates thousands of innovative and inspirational ideas for booktalking, book discussion, creative drama, storytelling, poetry, writing, library skills, and other literature-based teaching." "Judy Freeman is a well-known speaker, consultant, and writer on reading aloud, storytelling, booktalking, librarianship, and all aspects of children's literature. She is an adjunct faculty member at Pratt Institute's School of Information and Library Science in New York City, where she teaches graduate courses on children's literature and storytelling. "After 25 delightful years as a school librarian in New Jersey, in 2000, Judy gave up her day job and took to the road as a children's literature troubadour, though she still spends many days each year working with children and teachers to try out scores of new children's books and ideas." For more information, visit Judy's website. What were you like as a child reader? I was a real book nut. I remember throwing a fit when I was in seventh grade and my mother promised to take me to the store to get a copy of the Newbery Medal winner, A Wrinkle in Time, but then reneged, saying she had other things to do. Hah! I wrote her my first impassioned persuasive letter and slid it under the bedroom door. "All right, we'll get the blasted book!" she said, and we did. I read it a million times, and it's still in my psyche. My parents took my older brother and sister and me to the public library every Tuesday night and we all took out armloads of books and then got ice cream. One of my great passions in life is still ice cream (cherry Garcia, hot fudge) with a good book. I also had a fabulous elementary school librarian--Mrs. Amato--and it didn't hurt that my mother became a librarian when I was young. My sister Sharron was Beezus to my Ramona. I once melted the head of her ballerina doll on a light bulb. She still hasn't quite forgiven me. (Remember when Ramona wrecked Beezus's birthday cake--twice?) And my older brother was terrified of Miss Clavell in the Madeline books. We were all a little odd. Your credentials include school librarian, national workshop presenter, storyteller, and book reviewer? What put you on the path of a life of books? My mother wanted me to go on Broadway. She loved to sing, but always substituted her own words for the great standards of the 30s and 40s. We all sang, and my parents read to us--lots of Winnie-the-Pooh and Mary Poppins and Beverly Cleary and Dr. Seuss. I can remember way back then, reading the New York Times Sunday Book Review when they did their children's issue every spring, yearning for all those books. I still yearn for books. When my mother became a school librarian in the 1960s, she kept bringing home all of these great books for me to read, even though I was in high school already. That's when I met Harriet the Spy. And I still have my first edition of Where the Wild Things which I bought in high school. You'd think I'd be tired of children's books after half a century, but it's still magical when I read a great one. When I was in college, I wanted to be a folk singer. Realizing if I didn't work, I wouldn't eat, I got practical and became an elementary school librarian instead, saying, "Well, I'll try this for a little while until I decide what I really want to do." And it was a blast. I sang with the kids, I read them stories, I told them stories. We acted out stories. It was a wild and crazy place, my library. I can't figure out where 26 years flew. What do you love about your work? What are its challenges? What I've loved about my work is how diverse it can be. I'm a book review columnist for School Library Media Activities Monthly and NoveList (online), and wrote for Instructor magazine and Teacher for many years. I've also gotten to write extensive and very fun teacher's guides for publishers for some amazing books and authors, including Jennifer Armstong's An American Story, illustrated by Roger Roth (Random House, 2006); this year's Caldecott, The Hello, Goodbye Window by Norton Juster, illustrated by Chris Raschka (Hyperion, 2006); most of Mo Willems's books at Hyperion, and a guide to the picture books of Kevin Henkes for HarperCollins. My guide for Lane Smith's fabulous John, Paul, George & Ben (Hyperion, 2006) just came out and it's a hoot. Oh, and I also did one for Kate diCamillo's The Miraculous Journey of Edward Tulane (Candlewick, 2006), which just won the Boston Globe-Horn Book Award for fiction. You can find it at www.candlewick.com (teacher's guide). I even got to record a CD of 23 songs and stories to go along with my guide for Rosemary Wells's 96-page picture book, My Kindergarten (Hyperion, 2005). You can download the guide and play or burn copies of the CD at www.hyperionbooksforchildren.com. Just type the title into the search bar and you'll find it. My cousin Pete Fand is a musical genius, and we worked together on it. It was the most fun thing I've ever done, writing the songs, singing and playing guitar, recording, and then having Hyperion make it available for free. That's thanks to the wonderful, amazing, and adorable Angus Killick, who said, "Could you set a few of Rosemary's poems to music and make a little CD?" I got to be a rock star! I taught as an adjunct in the library school at Rutgers for 20 years, after Mary Kay Chelton, my wonderful professor, encouraged me to take over her booktalking course. She was leaving Rutgers and recommended me as the instructor. I was astonished. How could I possibly teach a course? (I was all of 29.) I did, though, having the time of my life and have taught dozens of courses since then. Now I'm an adjunct at Pratt Institute in NYC where I teach storytelling and children's literature. I teach most of my courses in the children's room at Donnell Library, across from the Museum of Modern Art on 53rd Street, and guess who's there? Winnie-the-Pooh and his pals! All of Christopher Robin's stuffed animals are there, in a glass case, looking worn and overloved. And P. L. Travers gave the library Mary Poppins's parrot-headed umbrella. I love teaching there--they have a fabulous staff of book-savvy librarians, headed by John Peters. I was a school librarian for 26 years, and then I wanted a new challenge. So six years ago I left my job, figuring I could go on the road as a speaker and cheerleader for children's books and reading. I had already been speaking for BER (Bureau of Education & Research; www.ber.org) for six years, doing about ten all-day seminars each year. I didn't know if I'd get enough work. Sure, I write reference books about children's literature, but I would starve to death if I tried to live on my royalties. I decided I'd try it for a year. Well, it's been terrific. I get more requests to speak than I can handle--I do about 80 workshops, speeches, and programs for kids each year--and I've gotten to travel all over the U.S. In February, I'm speaking in Juneau at the Alaska Library Association Conference, and that will be the fiftieth state where I've done a speech or workshop. In March I'll be speaking at an international schools conference in Bangkok, and last year I spoke at another similar conference in Istanbul. I've loved all of it, except for the jet lag, the airports, the bad food in the airports, and, worst of all, being away from my wonderful, patient, supportive husband, Izzy, who holds down the fort at home while I'm out gallivanting. To keep my credibility as a children's book reviewer and presenter, I go back to my old school, Van Holten School in Bridgewater, New Jersey, and several other schools to work with the talented staffs of teachers and librarians and with the people for whom these books are intended--actual kids. I field test scores of books with kids each year to see what they love, and their teachers and librarians do fabulous follow-up activities with them. (For instance, at Adamsville School in Bridgewater, New Jersey, I read Nick Bruel's hilarious picture book, Bad Kitty (Roaring Brook, 2005) to Miss Tricarico's kindergarten class. They followed up by writing their own book, "Bad Kiddies"--"We weren't always bad kiddies. We used to be good kiddies . . .") I love to bring these responses to literature along with me when I speak to show some of the wonderful ways kids and grownups can fool around with books. What's it like traveling these days? Traveling has its moments. Last year the hotel where I was doing an all-day seminar had an electrical fire during lunch. We lurked in the parking lot all afternoon while helicopters fluttered overhead, 14 fire trucks surrounded the building, and big hunky firefighting guys were toting hoses and eating doughnuts. (Apparently, the fire was catered.) I stood out there watching, and figured if my books and props and puppets were destroyed, they could be replaced. What I was really worried about was the kids' work I brought along with me--those are my best treasures. Luckily, everything was okay, though it all reeked of smoke. I've had my extra set of guitar strings confiscated in Canada--they considered it a weapon. A weapon? All I could hear was my mom's voice in my head: "You could put someone's eye out with that!" My suitcases have taken detours, not always arriving when I do. I travel with two big 50-pound suitcases. No bags, no program. They've always showed up eventually, but travel isn't getting easier, that's for sure. Dialogue at many airports: Security: Okay, ma'am, what in these bags? Me: Children's books! And puppets! Security: Hmmm. Better have a look." We children's literature people are obviously dangerous characters. I had a great plastic screaming hatchet and a crashing hammer that got stolen from my checked bags in Taipei. The only thing I haven't had is the strip search and the cavity search. It's only a matter of time. I'd like to focus on your new release, but given that this is the third book in a series, let's catch up on your back list titles. What was the initial inspiration for creating these books? When I started as a sweet-young-thing librarian in Plainfield, New Jersey, fresh out of grad school at Rutgers, I started making lists. Most teachers and librarians are compulsive list makers. I made lists of books that I loved as I read and weeded my way through the library's collection. It seemed to me that if you inundated children with wonderful books, read aloud to them on a regular basis, booktalked, told them stories, acted out stories, and fooled around with words, then kids would want to read. It was sheer intuition on my part, bestowing the passion for books my parents and teachers and librarians had bestowed upon me. I started making annotated lists of great books the teachers could read to their kids. What were the challenges (research, literary, psychological, and logistical) in bringing the new book to life? What were the major events along the way? Bowker sold its children's reference book line to Greenwood, which then acquired Libraries Unlimited, and they asked me if I wanted to do a new volume. It took me a while to say yes. I had to think about why I wanted to destroy my perfectly nice life and shut myself in my attic like a monk for two years. Then I recited my mantra--"Just shut up and do it"--and dived in anyway. Writing insanely big reference books takes large chunks out of your brain. I had an ongoing annotated database of books I loved, but with each new volume in the series, I've added more stuff--such as lists of related titles and activities for using each book. Luckily, I can now look up everything online--no more searching card catalogs at the library to find out a book's ISBN. I can look up full text reviews to see what other people have written about a book, and read the customer comments on Amazon, which can be interesting. So the research part is far easier. My inspiration to keep going was the book Bird by Bird by Anne Lamott (Pantheon, 1994), a book all writers need to read. I don't recall any events along the way--it's like childbirth. After what turned out to be three obsessive years up in my attic reading and writing, I have little memory of all the missed holidays, weekends, evenings, summers. My husband remembers, though. He tells me, that if I start to think about doing another one, he is going to make sure I have my head examined. It's a hefty mama, this new book--3.6 pounds, someone told me, so you could get two and use them for aerobic weights. Someone wrote to me that it's the heaviest book she's ever read. I was hoping it would top 1,000 pages, but my editor told me we couldn't go above 925, so they shrank the print and the margins until everything fit. Lisa Von Drasek, the children's librarian at Bank Street College of Education calls it "your honking big book" and from the beginning, I've referred to it as "The Awful Book." How can teachers and librarians use your book? In the Annotated Read-Aloud Lists section of Books Kids Will Sit Still For 3, I included my favorite read-aloud titles for Preschool through sixth grade, divided into Easy Fiction/Picture Books, Fiction, Folk & Fairy Tales, Poetry, and Nonfiction. I calculate I read about 20,000 books to find the 1,705 I used in the book. I also indexed everything by title, author, illustrator, and there's an extensive subject index. So you can look up, say, individuality or insects or inventors or integration or Ireland and find lists of the recommended books I've included. Then, when you look up an individual book, there's a meaty annotation, a germ (small, brief pithy and practical across-the-curiculum ideas of how to use the book with kids), a killer list of related titles (for thematic units, story hours, read-alouds, or follow-ups for kids to read), and a list of subjects, so you can see what themes the book encompasses. People tell me it's one book they keep on their desks and use on a daily basis to prepare storyhours and literature-based lessons for their kids. That's gratifying. It also makes a fine paperweight. So far, the book is doing well on Amazon. I check my numbers constantly. (Oh look! They must've sold one today!) People have written very nice comments about it there and on Barnesandnoble.com, for which I am thankful. 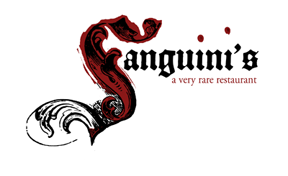 I'm waiting on tenterhooks for some reviews. My mother used to say to me, "For god's sake, Judy, write a 32-page picture book! Why do you need to write such giant books?" She was right of course, but I couldn't help it. Actually, there's a chapter about my mom in the book--I think of the whole book as a tribute to her. She died in 2000. How about writers and/or illustrators? In all three books, my focus is on teachers and librarians, but parents who are into children's literature will finds lots of ideas, too. Home schooling parents should find plenty of titles--as read-alouds or read-alones--to keep their kids engrossed and sparked. If you find yourself, on a regular basis, sneaking novels by folks like J. K. Rowling, Philip Pullman, Lois Lowry, or Kate DiCamillo instead of books on the NY Times fiction list, then you're a serious children's literature fan. My book can help you nurture that bad habit, for which your kids will be grateful. I'm forever faced with parents boasting that their four-year-old was reading Harry Potter to herself in utero (only a slight exaggeration). I'm guessing that means they're quick to give up reading with their kids. Why is reading aloud so important? 8. To be exposed to eloquent, elegant, interesting, or unusual examples of language, writing styles, and words, and hear the author's voice out loud, spoken with expression and fluency. 12. To hone writing skills. As children's author Richard Peck, writes in Past, Perfect, Present Tense: New and Collected Stories (Dial, 2004), "Nobody but a reader ever became a writer." And "You have to read a thousand stories before you can write one." And, "We write by the light of every story we ever read. Reading other people's stories shows you the way to your own." So far, what are your favorite read-aloud titles of 2006 and why? There are some fabulous books out this year. I'm still plowing through piles and boxes of books this year, so my list is in no way comprehensive. For the workshops I do across the U.S., I pick my top 100 books of the year and bring about fifty of them to show and tell, sing and dance. It's always so interesting to me to read everyone's best books lists, because no two readers ever agree on the exact same titles. I look for books that delight, amuse, surprise, startle, provoke, intrigue, inform, satisfy, and stay in my head. Sometimes I dream about them. Then I test them out on kids to see if they agree. Sometimes the books we grownups think are wonderful leave kids absolutely cold. And vice versa. I'm always reading and writing. My friends call me "The Attic Girl." I'm hoping to get a life this year, though. When I'm not obsessing over deadlines or out on the road, I play tennis, go into New York to museums and plays and restaurants, garden, and travel. And I'm getting a new cat. I work better when there's purring. I'm the Book Aunt to the kids of so many friends and relatives, so I get to hear a lot of feedback from them and from the kids I work with at schools. I do a fair amount of school assemblies as well, where I booktalk new books and tell stories and sing songs. Kids are so hungry for stories. Not enough people tell them stories, read to them, and do booktalks. It's so easy to do, but in these days of No Child Left Undone, if it's not testable, people think it's not worthwhile. I despair sometimes, but Vicki Cobb gave me the most wonderful quote from Robert Anderson, author of the play "Tea and Sympathy." He said: "Expect Nothing. Blame Nobody. Do Something." And then I think about Barbara Cooney's wonderful picture book, Miss Rumphius (Viking, 1982), where Alice's grandfather tells her, "You must do something to make the world more beautiful." See interviews with Cynthia Kadohata, Grace Lin, and Ed Young. Judy's guide also is recommended to writers as a source of models to study in various categories. According to SmarterStats, traffic to my official author website should run just over 60,000 unique visitors this month. Tuesdays and Wednesdays have been the busiest. Midnight to 3 a.m. is the most popular time to stop by (hello, night owls! ), followed by 2 p.m. to 4 p.m. and 7 p.m. to 11 p.m.--it sort of moves in waves. Other than the front page, those most active are: Exploring Diversity in Children's & Young Adult Books, followed by Gothic Fantasy & Suspense for Teens & Tweens; Young Adult Books; Picture Books; Native American Themes in Children's and Young Adult Literature; and Interview with Author Judy Blume. This month, most of the traffic comes from the United States, followed by Canada, the United Kingdom, Germany, and India. Within the U.S., the most represented states are California, Virginia, Washington, Georgia, Texas, New Jersey, Colorado, Illinois, and Ohio. Thanks to everyone who surfed by! The Children's Choices 2006 list has been posted by the International Reading Association (PDF). Highlighted books include: How Do Dinosaurs Eat Their Food? by Jane Yolen, illustrated by Mark Teague (Blue Sky)(author interview); Not Norman: A Goldfish Story by Kelly Bennett, illustrated by Jonah Z. Jones III (Candlewick)(author interview); The Liberation of Gabriel King by K.L. Going (Putnam)(author interview); Walter the Giant Storyteller's Giant Book of Giant Stories by Walter M. Mayes, illustrated by Kevin O'Malley (Walker)(author-illustrator interview); Each Little Bird That Sings by Deborah Wiles (Harcourt); Wild Dogs: Past & Present by Kelly Milner Halls (Darby Creek)(author interview). YA honorees included: Contents Under Pressure by Lara Zeises (Delacorte, 2004)(author interview); Midnighters: The Secret Hour by Scott Westerfeld (EOS, 2004)(author interview); and Nothing to Lose by Alex Flinn (HarperCollins, 2004)(author interview). Terri Fields: official author site includes book and event information. Teri's books include Danger in the Desert (Rising Moon, 1997); Counting Arizona's Treasures, illustrated by Tony Marinella (Kiva); After the Death of Anna Gonzales (Henry Holt, 2002); and Holdup (Roaring Brook, 2007)(scroll). Cynthia Hughes Literary Management offers publicity coordination and consultation to authors, publishers, and event planners. Cynthia is based in Austin; many of you may know her as the former director of the Texas Book Festival. "National reading program helps Native communities increase literacy skills, preserve culture" from the University of Texas. Highlights "If I Can Read, I Can Do Anything," a national reading program for Native American children and interviews Loriene Roy, the new American Library Association president. Note: I highly endorse this program and encourage you all to visit the official website to learn more about how you can help. See requested items, donors (including many children's/YA authors, and participating schools. The New Atlantic Independent Bookseller's Association has announced its 2006 award winners, recognizing an author who was born or lived in the region, and/or a book wherein the story takes place in the region. Winners included: Fancy Nancy by Jane O'Connor, illustrated by Robin Preiss Glasser (HarperCollins, 2005) and Rebel Angels by Libba Bray (Delacorte, 2005)(excerpt)(author interview). From Arthur A. Levine Books/Scholastic: "The Chinese American Librarians Association has cast their votes and the news is in--Stanford Wong Flunks Big-Time by Lisa Yee (Arthur A. Levine, 2005)(author interview) has received a Best Book Award for Youth. The Association writes, 'Through Stanford Wong's sensitive and funny diary entries, Yee defies stereotypes about Chinese Americans as well as gender stereotypes.'" "Speaking in Voices: Writing a Multiple Viewpoint Novel" with Deborah Lynn Jacobs: a chat scheduled for tonight from the Institute of Children's Literature. Deborah is the author of Powers (Roaring Brook, 2006) and Choices (Roaring Brook, 2007). Read Deborah's LJ. "Stars" by Roger Sutton from The Horn Book Magazine. Lots of fodder for thought here. What stood out most to me as a Harper author: "Mimi Kayden of HarperCollins says that 'if a book gets three or more stars, then we will probably advertise it. Two is still iffy. One doesn’t cut it anymore.'" Tara is "A Rat" Spelled Backwards: The online musings of Tara McCarthy Altebrando. A new LJ from the author of The Pursuit of Happiness (MTV Books, 2006)(excerpt). Three Silly Chicks: Readers, Writers, and Reviewers of Funny Books for Kids. The chicks in question are authors Andrea Beaty, Carolyn Crimi, and Julia Durango (LJ syndication). See In the Coop with Lisa Wheeler. From Houghton Mifflin: On a cold winter day a cat appears on the porch of an old Victorian house. The girl who lives there feels sorry for the snow-covered creature and gives him warm milk. The next day she gives him tuna, and the next day a catnip mouse, and so on and so on, until eventually the porch is as cozy as the house. One day, much to her surprise, the cat finally answers her invitation inside with an invitation to her. The "house-that-Jack-built" structure and repetition of The Cat Who Wouldn't Come Inside: Based on a True Story by Cynthia von Buhler (Houghton Mifflin, September 2006) will appeal to young readers, who will also delight in following the construction of the cat's new home. This tale of friendship and trust, of patience and love, is based on a true story. While living in Boston, in a large purple Victorian house, von Buhler befriended a stray cat, whom she named "Olympus" after the Greek mountain. She repeatedly invited him inside, but he didn't budge from the porch. So she went to the mountain, so to speak, and over the course of four years, fed him, nursed him, and built him his own (heated) purple and green house. Creating the set for the book was a family affair—von Buhler's father adapted her childhood dollhouse (which he had built by hand); her mother sewed the curtains, and her sister, a fashion designer, created the clothing. Von Buhler created all the characters using Sculpey clay. They were baked in an oven until hardened, then decorated with paint. She created a 3D set, and everything was then photographed with a Haselblad camera using a variety of lenses and colored gel filters, creating a fantastical world of cottony snow, comfortable chairs, and hidden delights. Committed to reaching out to her audience in non-traditional ways, von Buhler has created an art exhibit based on the sculptures and sets used for the book that also incorporates a children's cat sculpture workshop. The exhibit opens first at CVB Space in Manhattan on Sept. 28th, and will then go on to tour children's museums nationwide. For more information, please visit www.comeinsidekitty.com, which also includes step-by-step "make a kitty" instructions, a feature on how the house and set were created, an author's blog, and more. Von Buhler is also currently producing a flash music viral video, set to her original music (including her own vocals), which will feature the book’s characters and set. Cynthia von Buhler is an internationally known and award-winning artist. Her artwork has been displayed in galleries and museums around the world, on CD covers, and in books, magazines, and newspapers. Four illustrations from the book have already been chosen to appear in the prestigious art book American Illustration in November 2006. They Called Her Molly Pitcher by Anne Rockwell, illustrated by von Buhler (Knopf, 2002), was chosen as one of the New York Public Library's Top 100 Picture Books of the Year. Von Buhler has rescued and placed more than twenty-five cats into loving homes, and plans to donate a portion of her royalties from the sale of this book to Pasado's Safe Haven for animals. The book also contains valuable and practical information for those who find stray cats. She currently lives in a castle on Staten Island, with a host of pets, including six doves, thirty goldfish, two rats, her husband, Russell, and, of course, seven cats. The Cat Who Wouldn't Come Inside official website may set a new standard in book-specific sites. Recommended to visitors with high speed Internet service, not those on dial-up. "Kit Lit: Children's Literature For Human Kittens:" reviewed by Mercury Boo (official page) from the cat pages of my website, which are the most popular with elementary class visitors. See also Sebastian's picks, which includes photos of not only Bashi but also Leo and Blizzard. Melissa R. Schorr on Melissa R. Schorr: "I was born and raised in New York City, and still consider myself a New Yorker at heart, but it's become more of a love-hate relationship--I love that I get to live everywhere else while my editors live there. I studied journalism at Northwestern University outside Chicago, and started out working at Working Woman and GQ magazines, before heading out to be a feature writer and columnist for the Las Vegas Sun. I spent a year at M.I.T. near Boston as a Knight Science Journalism Fellow studying health writing, then moved to San Francisco and wrote for The Oakland Tribune and San Francisco magazine, and have written freelance articles for People magazine, Self, the Wall Street Journal and many other publications. Most recently, I've been living in Seattle with my husband, my baby daughter, and our Westie, Bailey. Goy Crazy is my first novel." Goy Crazy by Melissa R. Schorr (Hyperion, 2006). From the promotional copy: "Rachel Lowenstein can't help it. She's got a massive crush on a goy: Luke Christensen, the gorgeous star of the basketball team at St. Joseph's prep. But as the name implies, he's not exactly in Rachel's tribe. Rachel just knows her parents would never approve. Then Rachel's Jewish grandmother issues a stern edict––'Don't go with the goyim! '-– sealing Rachel's fate and presenting her with a serious dilemma. Everyone's got an opinion--from her annoying neighbor Howard to her newly social-climbing best friend. Should Rachel follow her heart and turn her back on her faith? Or should she heed her family's advice and try and find a nice Jewish boy? With an unforgettable cast of characters and razor-sharp wit, Melissa Schorr's debut novel is an engaging comedy about a girl’s decision to go goy crazy." Ages 12-up. Growing up as an only child, I had no siblings to play with--and this was back in the stone ages before GameBoys and Xboxes, IMing and cell phones, of course. My mother was a music teacher in upper Manhattan, and every day after elementary school, I would walk to the local library across the street to wait for her to pick me up. That's where I discovered books. Everyone knew I was a voracious reader--I think one year, for my birthday, I was given four copies of Little Women, which at the time, made me cry. My favorites series books were C.S. Lewis, Little House, Wizard of Oz, the Great Brain, Mrs. Piggle Wiggle, Encyclopedia Brown and Nancy Drew. I began writing short stories in fifth grade, and filled four diaries growing up, all of which I still have. Somewhere along the way, I was informed (misinformed, maybe) that you couldn't just get out of school and become a novelist--you had to do something practical first. So, I became a journalist. My path is really more like a marathon. It goes back almost a decade, when I was a journalist fresh out of college working as a researcher at GQ magazine. The editors ran an article by a girl about how she loved dating Jewish men. And I marched into the editor's office and said, "I need to write the flip side --why I'm a Jewish girl who never ends up dating Jewish men." To be honest, I don't know where I got the chutzpah. When that essay came out, it was called, "The Joys of Goys." And it got a lot of attention--angry letters from rabbis, marriage proposals from prison inmates--and one letter from a literary agent named Steven Malk, who was also just starting out. He suggested I expand the essay into a non-fiction book. But there were two problems. No one wanted to buy it, because it--gasp--joked about religion. And the other problem was that around the same time, I ended up meeting this great guy, ironically, a nice Jewish boy, who ended up being my husband. So that book wasn't meant to be, and we let the proposal lie dormant. And this is truly a great story of faith by an agent in a writer, because years later, we were talking about another project, when Steve offhandedly suggested that I would have a great voice for writing a YA book--and I could even revive that old concept. And it was like a light bulb went off--bing! And I spent my entire summer, which is the only sunny time of the year in Seattle, so no small sacrifice, writing the first 75 pages, which he was able to sell in about a week, to my editor at Hyperion. Believe me, as a first-time author, I know how truly incredibly lucky that was and how unreal this story must seem. I was also glad that my agent's belief in me all those years ago finally paid off. Congratulations on the publication of Goy Crazy (Hyperion, 2006). What was your initial inspiration for writing this book? As you might have guessed, this is a very autobiographical story. My parents also always pressured me as a teenage to date Jewish boys, and my own grandmother, like Rachel's, once actually said to me, in her thick European accent: "Mal-ees-ssa, don't go with the goy-im." So of course, like every teenager, I did the exact opposite--I dated lots of guys in college, none of whom were Jewish. Another reason I wrote the book is because this is an issue that has definitely affected my life--I think everyone's family these days includes someone in an interfaith or interracial relationship. And I think the book tries hard not to make any judgments about interfaith dating, which is a reality, but will help teens and parents talk about the issue, and maybe help any teen also dealing with that feeling of pressure. After the book sold, I was given around nine months to finish writing the manuscript. And a few weeks later, I found out I was pregnant! A major event, you could say. So, suddenly, I had two very pressing due dates that August--my manuscript and my baby's impending birth. But thankfully, my daughter waited until I handed in the book to my editor--and arrived two days later. Very thoughtful of her, don't you think? For me, the main challenge in creating it was being a first-timer in writing fiction, coming from an exclusively journalistic background. I don't have an MFA. I'm not in a writer's group. It was a whole new world I had to teach myself--things like plot, dialogue, pacing. I just figured it out as I went. Once it came out, there were new challenges. Aside from worrying that my parents would disown me, there was the subject. Most people find the concept hilarious, but some don't like it--my hometown bookstore, where the book takes place, has declined to host an event for me, because they find the title offensive. Others have seemed scared to talk about the issue, or to joke about it, I guess, which is sad. What I've always loved about the life of a writer is not having to wake up early for a 9 to 5 job. I've never been a morning person, and publishing hours always suited me. But with the arrival of a baby, I'm up at 7 a.m. every day, anyway. So, I guess, I love not having to wear pantyhose or suits, ever. What I love about writing itself is the giddy feeling when a really good line or idea comes into your head, and gives you the giggles. The realization that, really, this is just the first hurdle. Yes, getting published is an amazing accomplishment--until you realize your challenges aren't over. Now, you have to worry about having your book get noticed among the gazillion other books coming out each year, continuing to stay published, and getting comfortable speaking in public at schools and book signings. I wish I could say something inspiring or intriguing, like doing Triathlons or collecting Pez dispensers, but honestly, I'd have to admit, walking my dog and changing diapers. I'm really looking forward to writing my next YA book, I'm noodling on a couple of different topics, but am waiting for inspiration to strike to tell me which to do first. Also, I wouldn't be averse to writing a sequel to Goy Crazy. Karen Halvorsen Schreck is the author of a young adult novel, Dream Journal (Hyperion, 2006) and an award-winning children's book, Lucy's Family Tree, illustrated by Stephen Gassler (Tilbury House, 2000). Her short stories have appeared in various literary journals and have received a number of awards, including a Pushcart Prize and an Illinois State Arts Council Grant. Karen lives with her husband and children in Wheaton, Illinois. Karen Halvorsen Schreck on Karen Halvorsen Schreck: "I was the only child of two older parents who were passionate about their work as musicians and college professors. They shared their love of art and learning with me, which was a great gift with one string attached: from the get-go I had to rise to the most adult of occasions. I didn't always succeed. For example: I saw my first opera at the Chicago Lyric when I was five years old, but when all was sung and done, of course I couldn't remember anything but the seat upholstery--how it itched. I traveled to Europe several times with my dad's singing group--I even spent a surreal afternoon with the queen of Holland--but what really fascinated me during those tours were the many variations on the chocolate bar. "Mostly I wandered around the seemingly interchangeable hotels and cathedrals and pretended something truly dramatic was happening: the stories in my head. On the surface I was a reasonably well-adjusted, if middle-aged kid--terribly, horribly good for a terribly, horribly long time. I acted out only in my imagination. Real play--crazy fun--I experienced this only when I had my own children. "Ultimately I joined the family business, getting my MA and PhD in Creative Writing and English. Since then I've mostly taught, worked in advertising (I've waxed poetic on everything from Christian Dior gowns to Godiva truffles to designer furniture--in other words, things I could never afford and wouldn't buy if I could), written fiction as much as possible, married the photographer and all-around-good-man Gregory Halvorsen Schreck, and built a family." 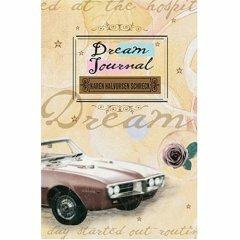 Dream Journal by Karen Halvorsen Schreck (Hyperion, 2006). From the ARC promo copy: "'Will she die?' Sixteen-year-old Livy Moore has finally summoned the courage to ask about her mother's illness. But she already knows the answer: for two years, Livy has watched her mother grow weaker. And until now, Livy has survived the pain of losing her mother by shuttering herself off from the rest of the world. She has alienated herself from her best friend, and barely speaks to her father, never sharing with him the grief that is tearing them both apart. But as Livy gets swept up in a strong but ill-fated crush and her mother's condition worsens, she must learn to trust not only those around her, but herself." I think I first called to it. As in: Help! I'm lonely and bored! I've got to escape! Or: Help! I'm confused and scared! I need an answer, or at least a distraction! As I said, I made up stories all the time--and not just in hotels in cathedrals. I felt a real urgency about the whole enterprise, actually, and I did a pretty good job of straddling my imaginary and real worlds. Luckily, my parents encouraged this--or at least, they ignored me when I was whooping it up in the living room on a black stallion only I could see. And they kept me well stocked in books, bless them. Oz, Wonderland, Avonlea, and Narnia provided great alternatives to suburbia. I started writing my stories when I was about ten, and I never really stopped--or, more truthfully, I never really stopped wanting to write. I remember seeing Madeleine L'Engle and Marguerite Henry give readings when I was in grade school, and vowing: I'm going to do that someday. They both signed my copies of their books, and I studied their signatures, wondering if it was something about the loop and swirl of their letters that helped these women make what they made out of words. I'd call the whole experience more of a marathon than anything else. I've certainly had to pace myself for the long haul. I hunkered down into fiction writing when I was in college--twenty-some years ago now--and proceeded to doggedly write my way through the decades. I published some stories and articles, won a few nice prizes and grants along the way. But mostly I tucked the work in when I could. In my darker moments, I felt like a sham. For heaven's sake! I'd stew. Will ya just stick with some legitimate, consistent, and (at the very least) slightly lucrative career! Greg kept the faith during these times, thankfully. And thankfully, too, my stewing always cooled to a simmer, and then I'd snap out of it. Then Greg and I adopted our first child, our daughter Magdalena, and life transformed. In fact (and I'm just realizing this right now as I write), having a child reinvigorated me with the kind of urgency I felt as a child about making up stories. Hm. I wonder if this also has anything to do with the fact that I no longer wanted to write for adults. I wanted to write for Magdalena. So I did, during her naps. Suddenly I was punching the clock: she was down for the count in her crib, and I was at my desk. I loved this time--the discipline and regularity of my work and her breathing in the next room. She taught me to turn on a dime and to appreciate and use (nearly) every spare minute I had, and I'll be forever grateful. Actually the summer after Magdalena came home qualifies as my single experience of "sprinting." When I realized that I wanted to write a book for her--one she might want or need to read when she was older--I cranked out Lucy's Family Tree. This took me a little over a month. A few months after this, Tilbury House accepted LFT for publication. Ah, those halcyon days. Then the publication process slowed to stumbles. LFT’s release date was delayed by a year because of an office flood. Then the date was postponed again because the original illustrator tore her rotator cuff. Magdalena was going on four when the book finally came out. But there was a pay-off: she immediately understood that I'd dedicated LFT to her and she was proud. She strutted around readings like she was responsible for the book, and, really, she was. Congratulations on the publication of Dream Journal (Hyperion, 2006). What was your initial inspiration for writing this book? My mother's death from cancer when I was thirteen. I'm reading a nonfiction book right now called Never the Same--Coming to Terms with the Death of a Parent by Donna Schuurman (St. Martin's Press, 2003). Never the same? I'll say. My feelings about my mother surge up at the weirdest times, and at the most predictable ones. I missed her a lot right after I became a mom, so I guess it's no coincidence that I started writing Dream Journal soon after I finished Lucy's Family Tree. In my early twenties, I wrote a number of stories where the mother/father/aunt/fill-in-the-significant-other-blank dies. But I never wanted to crack one of those stories open and try to find a novel. Then caring for Magdalena pretty much cracked me open; it was like I got to know myself all over again--the good, the bad, the ugly, and the beautiful, too. So this is love, I kept thinking. So this is anger, frustration, patience, grace. We are so vulnerable to each other, she and I! Which led to: What would it be like to lose my daughter? What would it be like for my daughter to lose me? And: Did my mom feel all this? There was so much I wanted to ask my mom--more than ever before. So the immediate inspiration for Dream Journal was becoming a mother and finding that I needed to talk to a mother (albeit a fictional one) in the most profound way possible. The more long-term inspiration was, of course, my old friend and enemy, Loss. Ultimately I just wanted to write the book I wished I could have read when I was a teen, and that I still needed to read as an adult. I plunged in and stuck with it, draft after draft after doggone draft. I didn't want death to be the subplot, kind of lurking in the background, something the characters had already endured. I wanted them to go through the illness; I wanted to get the last days and the funeral and the aftermath right. And damn it, I wanted the chance to go through it all again, too, the way I wish I could have the first time. I wanted to be bad instead of so terribly, horribly good. Dream Journal took me nearly four years to write and revise; what started as four hundred-some pages wound up being about one hundred and seventy. I finally felt like I'd done as much as I could with the manuscript, and that's when I sent it to my agent Sara Crowe, who agreed to represent it. Some time passed, and then Hyperion agreed to publish it. This felt like a miracle. And since then, it's been a pretty blissful year and a half, working through final revisions with my editor Jennifer Besser. First and foremost I wanted to make sure that I didn't recreate my actual family; I didn't want to write a memoir. I'm happy to say Dream Journal is fiction. It's rooted in emotional reality, of course, but my friends and my father have said: What's true here? It feels real, but we don't remember this happening! And to that I always say: Whew. Got that right. And I'd never crafted anything this long before, only to rewrite it again and again when this twist or that turn led only to a dead end. So I learned a lot about revision and plotting, as well. I love losing myself and finding myself in any mind, body, voice, place, detail that I want. Making a mess and cleaning it up, or not. And how small things can hold so much meaning--that cosmos-in-a-hazelnut kind of a thing. Then there's the way a sentence can unfold crazily, snagging the right words as it winds its way toward sense. And those words--how they feel on my tongue and sing in my ears. And the quiet, of course. The candles on my homely desk. The way I feel when everything is going right: focused, and contained by the computer screen in front of me, and poised for whatever's next. The surprises. I love the surprises. The healing that comes when I least expect it. After a few good hours of work, I sometimes feel buoyant, a little high. Not too mention happy, sane, and ready to meet the world. You probably can see it on my face when I've had a good writing day. I certainly can feel it in my body. I've got energy to burn; I don't even have a problem keeping up with Teo, my four-year old son. Finding the hours to achieve the above. Unfortunately I need consistent blocks of uninterrupted time to get something done. I'm juggling a lot right now, and that's been taking its toll, most specifically on the YA novel I'm trying to write, but more generally on my faith in my work. I hate it when I stop believing in the story I'm telling. When that happens I can start avoiding work altogether, or undermining it. Oh, it can get ugly, and I can get ugly, until one day I'm able to fling myself at my computer for a few hours and then I'm usually a believer again. On top of the time-factor, I'm also feeling rather exposed having my first novel out in the world. Stark naked, in fact. I'm trying to do more yoga, take some lessons from the kids on immediacy, eat good food, pray. I mean, Come on, Ego. Give me a break. I did the best I could! But this is a hard challenge for me, releasing this book into the world. I'm working hard not to run and duck for cover. I launched a website, for instance. I'm scheduling readings. I never knew self-promotion could be so blamed difficult and time-consuming! But ultimately I hope that I'll be able to make contact with some readers who appreciate the book, and this might act as an anecdote for the other tough challenge of this kind of work: the isolation that can set in. Assuming you've had consistent blocks of uninterrupted time to get something done. Write the story you want and need to read. And here is a message that is also to myself: Appreciate the work of others. Learn from the work of others. But do not compare your work to theirs. In my experience, it's all about revision, so pace yourself for the journey. If you're a perfectionist, give yourself a break because it's bound to get chaotic. Why not enjoy the chaos, or at least accept it? It might reveal something if you leave it sprawled across the page for a while. When the writing feels a little more like play, you can always go back and shake out some cosmos. I love to go to plays, movies, concerts, restaurants, museums, galleries, etc. I really love to travel. I like hiking, camping, and cross-country skiing. Once in a while I get to do these things, and it's great. But at this stage in my life, I find myself at home a lot, hanging out with my family and friends. I put in a garden this spring, and it went wild on me. I was expecting this decorous Victorian knot/Zen kitchen "space" and it turned into something out of "Little Shop of Horrors." The sunflowers are taller than our house. I'm considering investing in a machete to hack through the vines. But I've grown a lot of delicious vegetables, and Greg and I have been having fun figuring out what to do with them. My fans? Um...well, the season is changing, so I'll probably be wrapping up their extension cords and storing them down in the basement. I'm working on a YA novel set in the late 1930s. It draws on a story of mine that won a Pushcart Prize a few years back. That story was based on some of my father's boyhood experiences, most of which were informed by his younger sister, who had cerebral palsy. For me this book is also about money and class--the aspirations of an immigrant family devastated by the Depression. And it's about a kid who wants to be an artist, in spite of everything. Nancy Feresten has been editing children's books for almost over 20 years. After earning a degree in English Literature from Yale, she began her career at Harper & Row Junior Books Group and has since worked at W. H. Freeman, Scholastic, and National Geographic, where she is now Vice President, Editor-in-Chief of National Geographic Children's Books, an imprint that specializes in children's nonfiction and reference. What first inspired your passion for children's books? Were you an avid young reader or did you come to this love later in life? I read voraciously all through my childhood, and when others left children's books behind, I continued to read my old favorites and discover new ones. When I graduated college and embarked on a career in medical editing, I found that the books I still loved most to read were children's books. What made you decide to make children's book editing your career focus? When I realized that though I spent my days editing medical professional books, I spent my spare time reading children's books, I decided to change my focus and went looking for a job in children's books. What do you see as the job(s) of the editor in the publishing process? An editor has a two-pronged responsibility. It is an editor's job to find and nurture powerful writers and help them do their very best work, and it is also the editor's job to select books that will be meaningful and attractive to children and the parents, teachers, and librarians who select books for them. Have you worked with both fiction and non-fiction? If so, how do the processes compare? What do you like most (and/or least) about each? I have worked in both fiction and non-fiction, though I have spent far more time on non-fiction. Both genres are fun and challenging. In both, the goal is to support the author and the rest of the book team (including illustrator, photo editor, designer, etc.) in telling a compelling story. Could you offer us an overview of the your children's nonfiction and reference publishing program at National Geographic? Age ranges, types of books published, etc.? At National Geographic, we publish nonfiction and reference books primarily for children ages 7 to 14. We have three distinct publishing strands: narrative trade nonfiction, school library series nonfiction, and trade reference. We will publish about 85 titles in 2006. What are you looking for? In which areas are you looking to grow? Right now, we are focused on expanding our school library series publishing. What are the particular challenges in marketing non-fiction for young readers? What are the benefits and encouraging signs? The good news is that nonfiction is coming into its own among teachers. For many years, kids were taught to read by reading fiction. Now, with new research showing that 80% of adult reading is nonfiction, the education community has developed a new respect for nonfiction reading, which they are actively passing along to their students. Do most of your manuscripts come directly from writers or from agents? What recommendations do you have for individual writers in the submission process? What are pitfalls to avoid? Our manuscripts come from agents and from authors we already know or whose work we know. We are not accepting unsolicited manuscripts. 1. Know your market. Visit bookstores and libraries and read what is being published right now. Read books that have recently won prizes or appeared on Best Book lists. Know how your work fits in. Understand what age child it is for. Know what type of book it is and how long that kind of book should be. Demonstrate your knowledge in your cover letter. 2. Don't underestimate your competition. Serious children's writers labor long and hard to do the very best research and create the best and most appropriate text. In the case of nonfiction or nonfiction-based fiction, do first-rate research, using primary sources as much as possible. Wait to send in a manuscript until you have read the work of others and are satisfied that yours is as good as the best of them. 3. By all means read your work to the children in your life, but don't use their enthusiasm as evidence that your work is publishable. Editors are very skeptical of this sort of claim. 4. If you write a picture book manuscript, don't try to find an illustrator for it. That is the job of the publisher. 5. Grow a thick skin. Even the very best writers get rejected a lot. How about with illustrators? Any insights, recommendations, or cautionary words for them? My advice to illustrators is fairly similar to my advice to authors. Know what's going on in the world of children's book illustration. Make sure that your work is special and appropriate. Then make appointments to see art directors and editors. And stick to it. What titles would you especially recommend for study to authors interested in working with the house and why? As I said, we are not taking unsolicted manuscripts. And I don't encourage authors or illustrators to set their sights on a particular house. Write what works for you and then find the right publisher for that project. 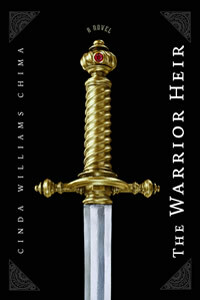 Many highly accomplished authors and illustrators work with several houses. What titles are you especially excited about in 2007 and why? In 2007, we are continuing our tradition of showing children new ways of understanding history. 1607: A New Look at Jamestown by Karen Lange explores the settlement of Jamestown through the most recent archaeological discoveries at the site. It will be published in the spring to coincide with the 400th anniversary of the settlement. A World Made New by Marc Aronson (author interview) and John Glenn explores the causes and consequences of the Age of Exploration, showing how it changed not just the Americas but the whole world. Both of these books are graphically engaging and highly illustrated with photographs and archival materials. In what ways do you work with teachers and librarians in support of your titles and their efforts? We work with librarians and teachers in several ways: both before and after the books are published. To make sure that we publish books that will resonate with librarians, we have a library advisory board that guides us in our long-term planning and series development. To make sure that our books work for teachers and students, we bring our books into schools for testing. Once a book is published, we make sure that librarians know it is there by sending out tens of thousands of catalogs and hundreds of sample copies to key decision makers around the country. We also submit books to review journals and prize committees, attend both teacher and librarian conferences, and advertise in the professional journals that teachers and librarians read. What do you do outside your editorial/publishing life? I read, knit, hang out with family and friends, work out, do laundry, watch TV, take walks in the woods, go to the movies, all the usual stuff. Tricycle Press and Susan Taylor Brown invite you to join them as they celebrate the release of Susan's debut novel, Hugging the Rock (PDF excerpt). Books Inc., 301 Castro Street, Mountain View, CA at 7 p.m., Wednesday, Sept. 27. Hear a reading from the book and meet the author. Drinks and snacks will be provided. What's a Rock? A rock is someone who loves you no matter what, someone who helps you find your inner strength when you feel like everything around you is crumbling. Who's Your Rock? Bring your rock and be entered to win an autographed copy of Hugging the Rock. Read a recent Cynsations interview with Susan Taylor Brown. Interview with author-illustrator Amelia Lau Carling, whose books include Mama and Papa Have a Store/Alfombras de Asserín (both Groundwood, 2005) interview with author-illustrator, René Colato Laínez, whose books include I Am René, the Boy/Soy René, el niño, illustrated by Fabiola Graullera Ramirez (Piñata Books, 2005), both by Aline Pereira from papertigers. View an art gallery from Lela Torres. See also "Bilingual Storytime: 10 Best Books to Read to a Young Audience" by Ana-Elba Pavon and "Wisdom and Heritage: Stories about Grandparents and their Grandchildren" by Aline Pereira. Sarah Beth Durst: official site of the debut author of Into the Wild (Razorbill, 2007). Sarah is based in Stony Brook, New York. See also Sarah's Journal. The next YA Authors Cafe will be Tuesday, Sept. 26 at 8:30 p.m. EST, 7:30 p.m. CST, and 5:30 Pacific. The topic of the chat is "Secrets of YA Lit: Grabbing Teen Readers" and our panel of young adult authors will be Robin Merrow MacCready, author of Buried (Dutton, 2006), Mary Beth Miller, author of On the Head of a Pin (Dutton, 2006)(excerpt), and Laurie Faria Stolarz, author of Bleed (Hyperion, 2006)(author interview). All YA Authors Cafe chats are held Tuesday evenings at www.yaauthorscafe.com. Agent Interview: Gabriella Ambrosioni from Cynsations and SCBWI Bologna. Gabriella is based in Italy. Agent Interview: Rosemary Canter of PDF from Cynsations and SCBWI Bologna. PDF is "one of Europe's leading literary and talent agencies." Rosemary is based in London. 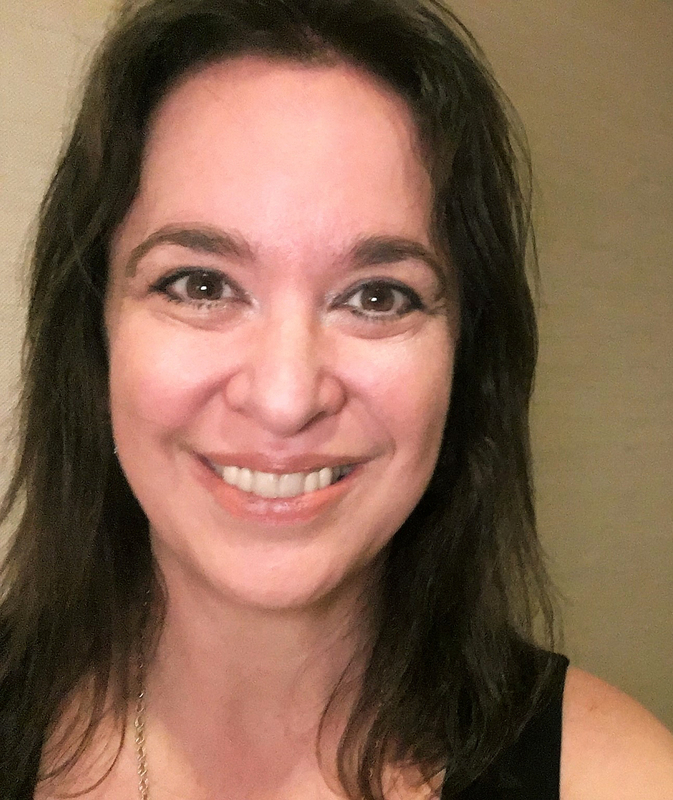 Agent Interview: Costanza Fabbri of Gabriella Ambrosioni Literary Agency from Cynsations and SCBWI Bologna. The agency represents authors, illustrators, publishers and other agents for foreign rights. Agent Interview: Barry Goldblatt from Cynsations and SCBWI Bologna. Barry represents children's-YA authors and is based in the United States. Agent Interview: Rosemary Stimola from Cynsations and SCBWI Bologna. Rosemary represents children's-YA authors and author-illustrators. She's based in the United States. Attorney Interview: Aimée Bissonette on Law & Publishing from Cynsations. Publicist Interview: Aimée Bissonette of Winding Oak from Cynsations. Publicist Interview: Rebecca Grose of SoCal Public Relations from Cynsations. Publicist Interview: Susan Salzman Raab of Raab Associates from Cynsations. Editor Interview: Victoria Arms of Bloomsbury USA from Cynsations and SCBWI Bologna. Editorial Director Interview: Shannon Barefield of Carolrhoda Books from Cynsations and SCBWI Bologna. Publisher Interview: Miriam Hees on Blooming Tree Press from Cynsations. Publishing Director Interview: Anne McNeil of Hodder Children's Books (UK) from Cynsations and SCBWI Bologna. Editor Interview: Stacy Whitman of Mirrorstone Books (an imprint of Wizards of the Coast) from Cynsations.